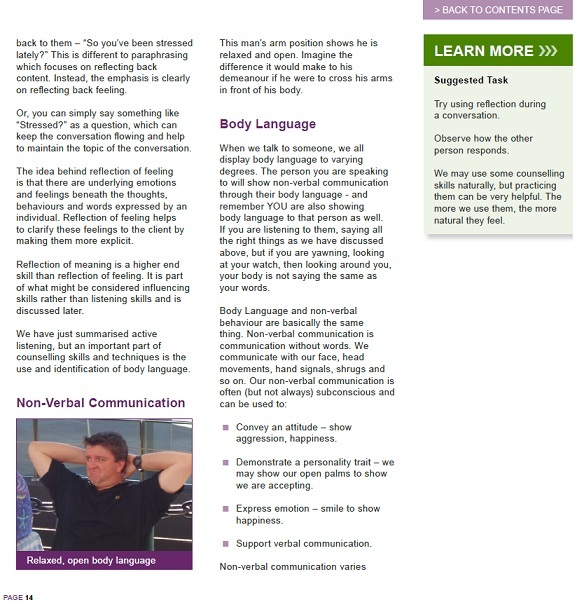 Learn the basics of counselling. Counselling is all about helping people overcome the issues that cause them to worry and stress. Through this course you will develop a greater understanding of people and what drives them. Your ability to observe and understand people will improve, and that will help you to not only be better at counselling, but also better at communication in all other aspects of your daily life. 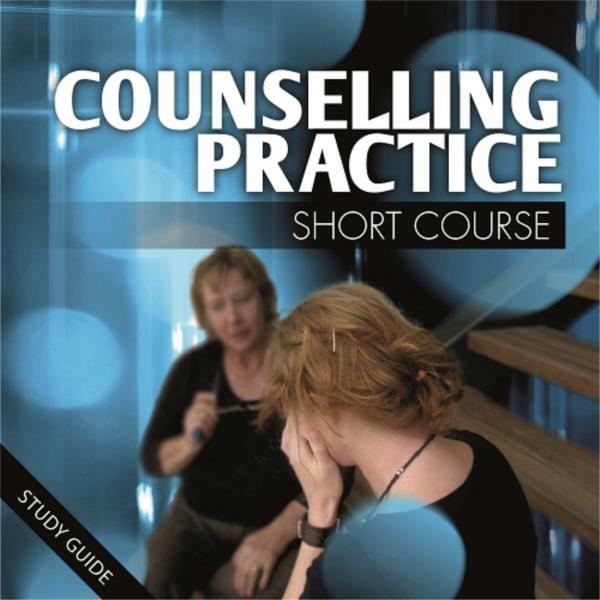 Lesson 1: WHERE CAN COUNSELLING BE USED? Where Can Counsellors Find Work? Lesson 4: HOW TO COMMUNICATE BETTER WHEN ALL YOU HAVE IS WORDS? 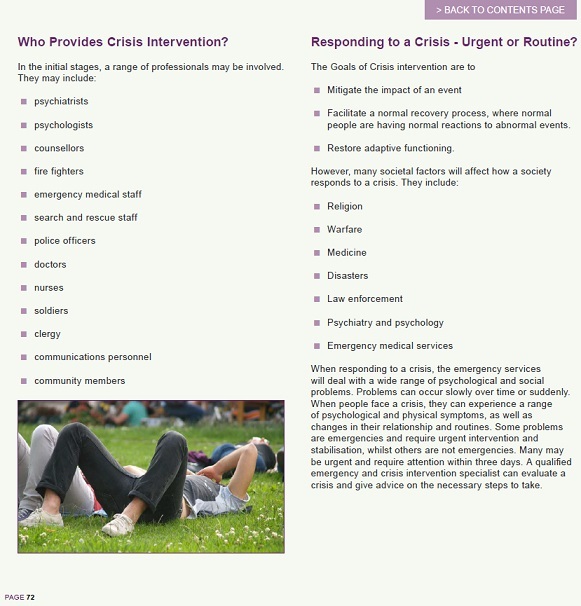 Responding to a Crisis - Urgent or Routine? Who might Study this Course?